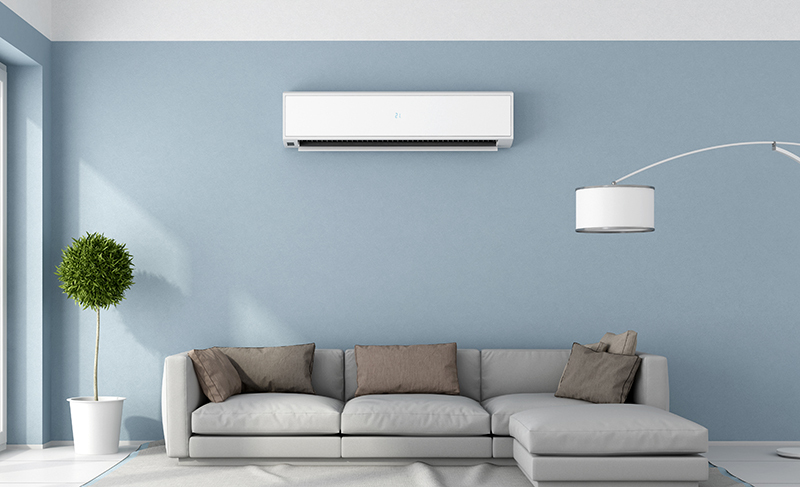 Ductless mini-splits are heating and cooling systems that provide temperature control for rooms or spaces in your home. Ductless systems can provide heating and cooling to your entire home, or serve as a comfort solution for an area, such as a sunroom or office, that is not as comfortable as other areas in your home. These systems do not require ducts to distribute air, which makes them the perfect solution for home additions, renovations, older homes without air conditioning, sunrooms, enclosed porches, attics, basements, garages, and any space where adding ductwork would be too costly or difficult. Improved Energy Efficiency: Other heating and cooling systems are designed to run at full capacity every time they are turned on, which wastes a lot of energy. Ductless mini-splits only run to meet the temperature demands of each zone, resulting in improved efficiency and less wasted energy. No Ductwork: Ductless mini-split systems are perfect for those who don’t want to install additional ductwork. Since ductwork is not needed for this system to distribute warm or cool air throughout your home, the ductless mini-split system perfect for home additions, renovations, and older homes where it wouldn’t make sense to extend or add a duct system. Room-To-Room Temperature Control: No more fighting over the thermostat – you can have different rooms set at different temperatures, so everyone in your home is comfortable. No More Summertime Window Units: Tired of hauling the AC window units from the basement or storage shed? With a ductless mini-split system, you’ll never have to install or winterize those window shaker units again. Plus, mini-splits use a fraction of the electricity to operate! Quiet Operation: Since these systems are virtually silent, you can install the units anywhere without having to worry about it waking you up in the middle of the night or disturbing your daily routines. We are a family-owned, full-service heating and cooling company that has been providing the Southern Maryland region, Anne Arundel County, and Prince George’s County with total home comfort solutions for generations. Whatever your heating and cooling needs may be, we have you covered. Our energy consultants provide free in-home appointments and estimates. We offer 0% financing on new equipment for qualified clients with the ability to pay as little as $59 per month! Whether you are in need of a ductless mini-split replacement or a new installation, we will work with you to find the right equipment for your home and budget.